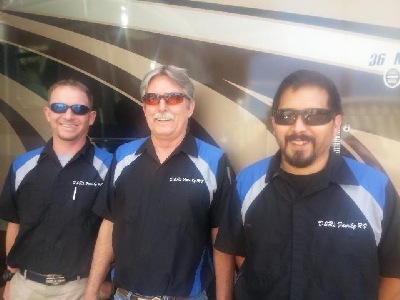 D&R Family RV is Family Owned and operated by Debbie and Ron Wicklund since 1993. Specializing in solar panel electric installations on RV's. SKP # 50103 D&R Family RV now also does aftermarket installations of Big Boy Toys: Solar Panels, Inverters, Cat. Heaters, Battery Banks to extend your usage, TV's installations, Floor's, and regular repairs. You can reach us at (623) 842-1265. We are looking forward to hearing from you. You can also contact us at our e-mail address: drfamrv@q.com. 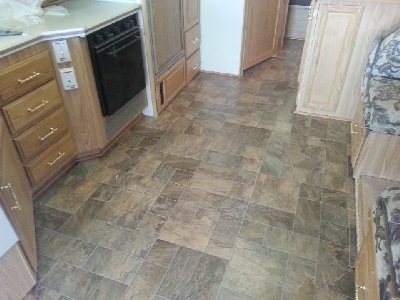 Removing Carpet and linoleum and replaced with Laminate floor. (Tile Look).